Phantom Creek Estates has been over two years in the making. The journey began with the Bai family’s vision to build one of the leading wineries in Canada. Their search took them to the Black Sage Bench with the acquisition of three vineyards, including the historic Phantom Creek and Sundial Vineyards. The estate currently grows predominantly Bordeaux reds and Syrah. A new state of the art winery, designed by Napa firm Backen Gillam Kroeger, will be built on the Sundial Vineyard property beginning in Spring 2017. The winery is projected to open in Spring 2019. The first vintage, now maturing in barrel, was made in a temporary facility on the property in 2016. Phantom Creek Estates is led by President Ingo Grady. He is joined by Winemaker Ross Wise, Vineyard Manager John Pires, and Marketing Manager Geoffrey Moss. The team works closely with James Cluer MW, Project Strategist, as well as consulting winemaker Annie Vawter and viticulturist Cameron Vawter. Be sure to follow this page as we launch Pressing Matters: A Blog by Phantom Creek Estates. 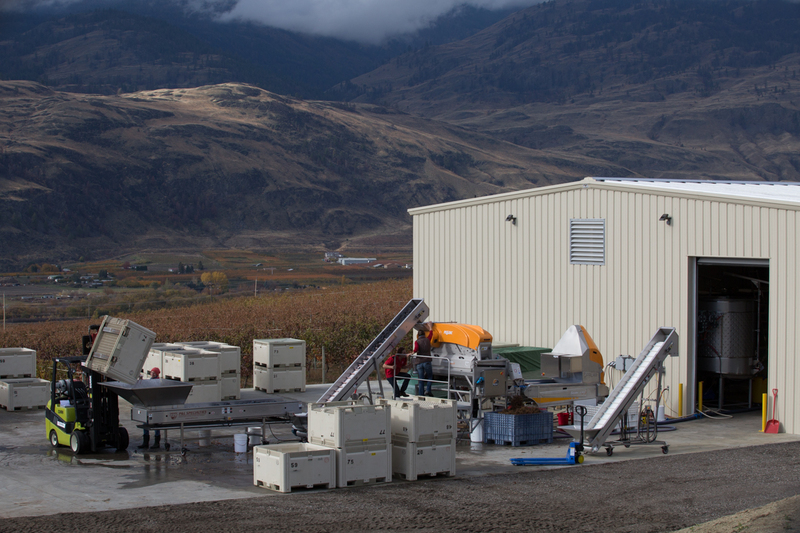 The blog is our opportunity to share what’s happening at Phantom Creek and the world of wine at large. With contributions from the entire team, we hope you’ll join in with your own thoughts or questions.